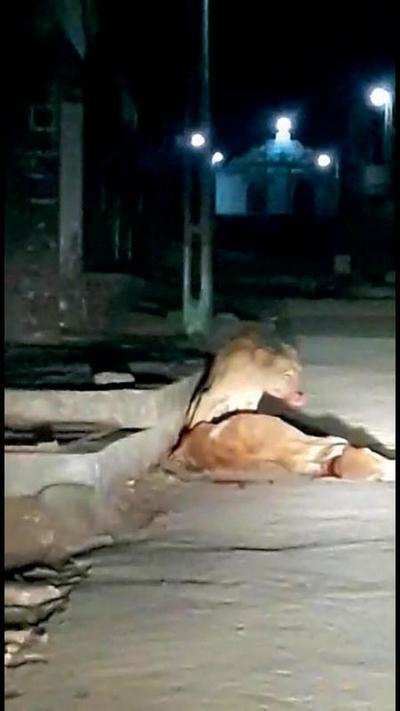 Rajkot: Nearly 10 lions trespassed the Rampar village of Talala taluka in Gir-Somnath district on Tuesday and preyed on a cow triggering panic among villagers. According to villagers, it was a pride of lion which included a few cubs that were seen moving around in the village during the night. They had first entered the mango orchard which is 3km from Rampara village. Eyewitnesses said that a couple of wild cats stopped at the entrance while others entered the village.